When asked about allegations of Russian involvement in the poisoning of ex-spy Sergei Skripal and his daughter Yulia, Putin said that Russia would like "to be given access to our citizens, to Yulia, and we would like to have the opportunity to take part fully in the investigation." "If as Britain insists a military chemical agent was used against these people, they would have died within seconds or minutes, on the spot," he added. "Thank God, this did not happen. Clearly we are dealing with something other than a military agent." Asked about Western sanctions, Putin said: "It is because Russia is seen as a threat, because Russia is seen as becoming a competitor. I believe this approach is mistaken. Instead of restraining whoever, it would be better to establish constructive cooperation, and then the overall effect on the global economy would be positive." "The introduction, for example, of restrictive tariffs on steel, on aluminium, not only for Europe but also for Canada and Mexico, in essence these are also sanctions… They are related to the pragmatic national interests of the United States." "When in 2007 I spoke in Munich, a speech that is frequently quoted nowadays… I spoke about the fact that the United States is widening the jurisdiction of its laws beyond its national borders, and that this is unacceptable. And that's exactly what's happening now, also to our European and other partners. Why is this happening? No one wanted to listen and no one did anything to stop this from developing." Asked about Vitaly Mutko, who was sports minister at the time of the first allegations of Russian state-sponsored doping, and his current role as deputy prime minister, Putin joked that Mutko's notoriously poor English "needs perfecting." 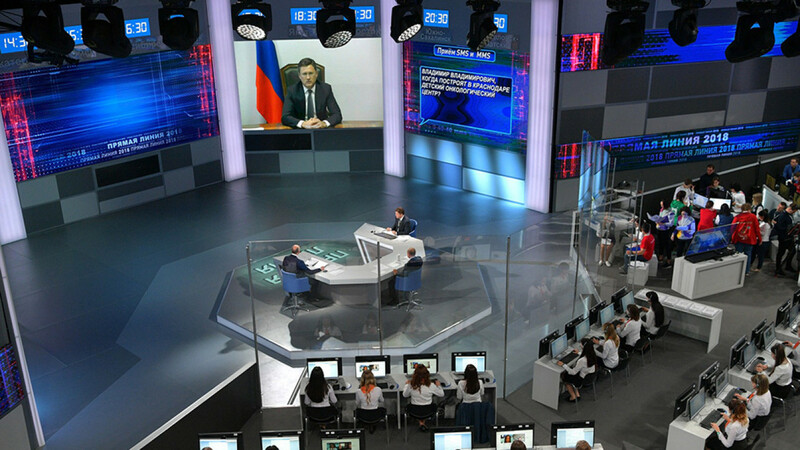 "We should look at the facts, not the emotional aspects of his work," Putin said. 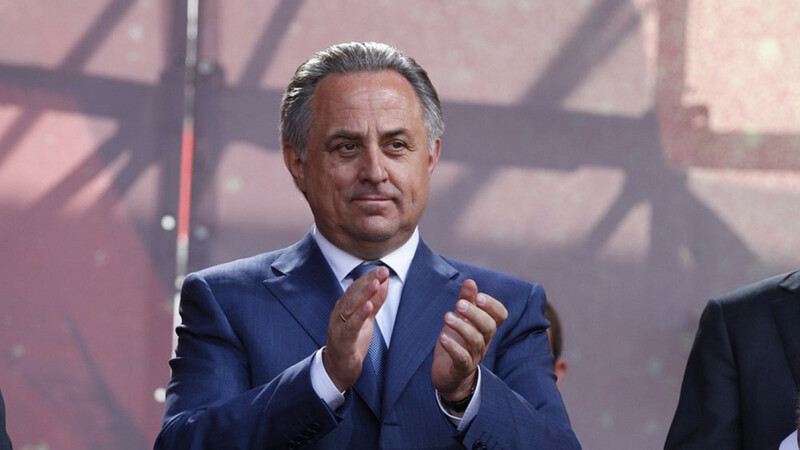 "The Sochi Olympic sites… Mutko was involved in this. The World Cup stadiums, this was largely done by Mutko. I understand everything, but I do not make emotional judgments, my judgments are based on the facts." "There is one other point: we know how he was attacked in connection with the doping scandal, and so on and so on. In these circumstances it's just impossible to send him into retirement. I repeat: he has a lot of potential. Let him work." "Who is going to help them abroad? They are just persecuted there. Conditions are created making their work impossible. This is a big mistake by those who are doing this in the West." "In essence, they are sawing the branch on which they are sitting. This is counterproductive and damaging for those involved and for the global economy." "Some say we need to help Abramovich and other Russian businessmen who have ended up in a difficult situation… I wouldn't want to speak right now about those people who have broken various laws. I am speaking about people who acquired their capital through legal means. 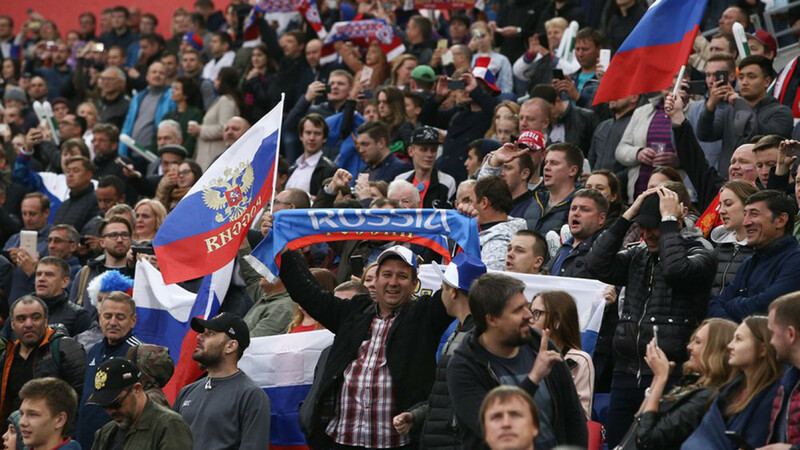 The former and the latter are better off being in Russia." Putin said his primary concern was people's safety and that he was aware about the ban on Telegram. He added: "We are not going to close anything," urging a "civilized solution." "Therefore, I'm going to urge all my colleagues to take this route, the route of ... using modern methods to combat offenses, including terrorism, without restricting freedoms, including those on the internet." Asked whether there "is going to be a World War III," Putin laughed and cited Einstein: “I know not with what weapons World War III will be fought, but World War IV will be fought with sticks and stones." He added: "The understanding that a third world war could be the end of civilization should restrain us from taking extreme steps on the international arena that are highly dangerous for modern civilization." "When it comes to the position of our compatriots in the countries of the Baltic, we are constantly talking about this, bringing it to the attention of the governments of the Baltic states, including Latvia…," he said. "The measures that we take to protect the interests of our compatriots must be such that they do not actually worsen their situation." Putin said Russia's Armed Forces would stay in Syria for as long as it was in Russia's interest. "We are not yet planning a withdrawal of these military forces," he said, adding that Russia could leave the country quickly if necessary. "Not everyone feels this personally but overall, this is an objective statistic. That's how it is, it is the truth. Export in technical equipment is growing, which shows that some structural changes are going on in the economy. Export of agricultural produce, at 20 billion last year, was higher than defense exports, which were at 15 billion." Overall, there were few humorous moments. 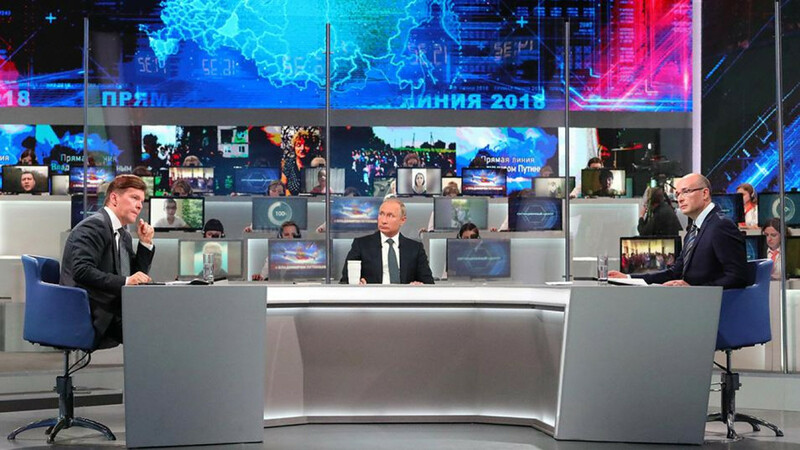 Asked by the show's presenter to share a joke he recently heard, Putin used an occasion to make a stab at the West. "Recently one of Germany's famous and popular publications wrote that President Trump is pushing Europe towards Putin. If we take this together with an earlier joke, that Russia influenced elections in the United States, then this all taken together starts sounding pretty funny. We apparently influenced the election of the U.S. President, and then he gifted us Europe. Total nonsense. There's no way to describe this other than as a joke."